Sooner then expected it arrived: the Dutch "Gemeenterace 2012 geocoin". Nice on time to be able to drop it before the start at January 1st. This yea no 12 provinciën, but a municipality race. 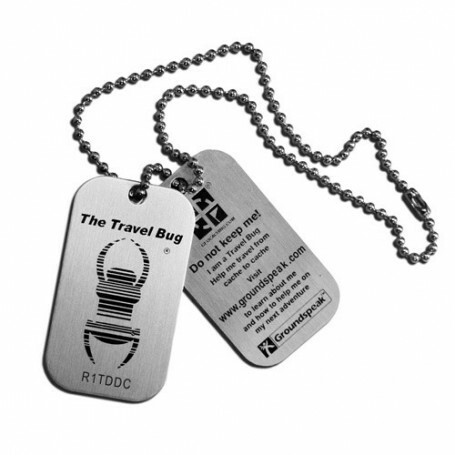 Specially for this race a geocoin has been designed which also fits in micro caches. Most of the coins are already during the pre-sales phase sold, but we have still a few left. Together with team de Kikkers and Scouting Nederland a new Scouting Geocoin has been designed. This time not a round, but a big rectangle version. Available in gold/blue and nickel/orange. This 50 Years Calendar Geocoin is the largest, trackable, functional, produced Geocoin of the World. On the frontside there is a working 50 years calender, which shows a monthly view (week day / date) from 2005 to 2054 (part can be turned to set the correct year). On the backside there is a Aztec motive. All coins will be delivered with a nice velours pouch. It makes a perfect present for your family and friends. This week we have again a number of new Christmas Geocoins, but also a number of really unique coins. New are out pins with flag and Geo-sign. In the edition of the Dutch, German and Austria flag. You can find these and other pins ai our website in Pins.